France in London | Did you know? Activia and Actimel could make you fat. Did you know? Activia and Actimel could make you fat. Every morning, you wonder what you are going to have for breakfast. Will it be jam, bread and butter, a croissant or a muffin, some cereals? Too fattening. So instead, you choose an Activia yogurt and a piece of fruit because you believe that this is the healthy option. Not only is the Activia creamy and sweet but it also boosts your immune system and helps with your digestion... or at least this is what you have been made to think. Danone the world number one in dairy products is in the spot light about two of its key product brands: Actimel and Activia. Over the last two years, a number of questions have been raised as to whether these products really deliver what they claim they do and whether there is not something more sinister hiding behind a number of their claims. What are Actimel and Activia? Actimel is a “functional food”. Better known as “probiotic”, this category refers to products that go beyond the basics of supplying nutrients to the body and appear to help your immune system. In the field of yogurt drinks, Danone’s Actimel is a worldwide leader. Danone’s first probiotic yogurt, Actimel, is meant to strengthen the immune system. It contains two traditional yogurt cultures: Lactobacillus bulgaricus and Stretocuccus thermophiles. But it also contains a third one, the culture L. Casei, which is exclusive to Danone. Danone's other probiotic yoghurt product, Activia, contains another bacteria exclusive to Danone called Bifidus Acti-Regularis. It is meant to help regulate the digestive system. This all seems like a dream diet: it reinforces your immune system and helps with your digestition without any effort. Have an Actimel and let the “good bacteria” do their job. However, some experts argue that Activia and Actimel's benefits are not proven. Worse, they could even make you gain weight. First, in 2007, microbiology professor and infectious illnesses specialist Didier Raoult published, in the British Poultry Review, a study which concluded that chickens fed with probiotics grew 30% more than normal. Frightening enough, these probiotics are the same as the ones used by Danone. They could even be partly responsible for children’s obesity, according to Dr Raoult’s article published in 2009 in the prestigious scientific review Nature (“Probiotics and obesity: a link?”). “The very fact that we use probiotics in the agricultural industry to stimulate animal’s growth should make us reconsider their use in humans.” he warns. Soon, Dr Raoult’s study was sent on email-chains and covered by many blogs, making consumers more and more sceptical about probiotics. Hoaxbuster, a French online media specialising in web rumours, considered that Dr Raoult’s study was just a rumour, that his statements were not proven and thus not sufficient to accuse Danone of producing a product that increased weight gain and did not deliver what it said on the pack. In an attempt to handle the crisis, Danone denied the link between probiotics and obesity on their website. The company argued that conclusions which have been drawn from studies on animals did not apply to humains. Moreover, Danone’s research on probiotics prove the contrary: they would actually help fight against obesity. Despite Danone’s credible defence many still worry about the potential lack indepence in such studies. 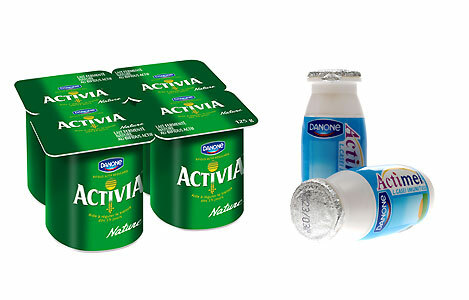 Activia and Actimel are strategically positioned on the market as scientifically proven healthy products. Acknowledging the fact that both products represent 10% of their worldwide sales (1.5 billion euros), no longer having this healthy image for those brands would be critical for Danone and could lead to a dramatic drop in revenues. 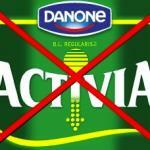 Since 2010, Danone have abandoned overtly promoting a healthy image for Actimel and Activia. It should perhaps be noted that the European Food Security Authority (EFSA) verified if all "healthy" claims made on European products were scientifically proven. Before the EFSA gave its verdict, Danone removed their claims for both Actimel and Activia, alleging that the EFSA process was too complicated and less than clear. Nevertheless in December 2010, EFSA concluded that: “there is no scientific evidence that Actimel reduces diarrheal risks”. And why would Danone withdraw the application when they had spent millions on scientific research? The company wanted to avoid a media buzz that would have strong negative effects on sales. Faced with so much confusion, the consumer no longer knows what to think. One day Actimel and Activia are the best products ever, the next day they may make you fat. We are permanently bombarded with information without knowing what is true and what is not. Which scientific study should we believe? Maybe Dr Raoult is not impartial. Who knows? So what should we do? 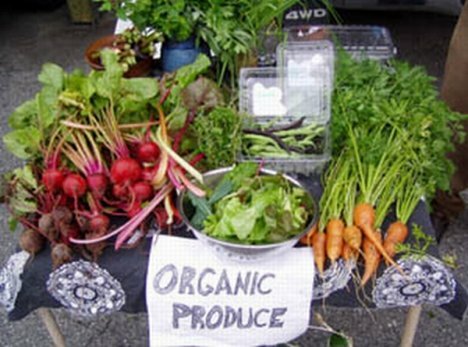 To avoid products which might not be good for your health there is only one solution: going for natural products. Stick to natural food and your grandmother's recipes, as it seems that science is not able to provide long-lasting answers to our health issues. I drink about 10 a day because I have an ulcer and can't eat food. I have not gained weight. There was a BMJ study which concluded that their was strong evidence to suggest that Actimel can have a positive effect for some patients with certain gastrointestinal conditions. Its positive effect for people with no problems will obviously be less marked. From my own experience of upset caused by having been overprescribed too much metronizadole during an extended bout of dental treatment, I would say that Actimel along with other probiotic yogurts such as Onken and Yeo Valley brands are 100% effective in keeping. the condition under control. how much sugar is there in these products? "Stick to natural food and your grandmother's recipes"....., so what happens if your grandmother was fat as she used used lots of then healthy products like plenty of butter? I met once in a French restaurant a French guy who claimed he had the original idea of adding real fruit to yoghurt and had worked for Danone!